Brushing and flossing – two words loaded with good advice! Another word we’ll add to that is a visit to your dentist. We will work with you to ensure good oral health to prevent problems in the future. Regular appointments are vital for good dental health. It doesn’t take long for problems to pop up. We recommend that you have your teeth cleaned twice a year. This involves scaling your teeth to remove plaque and tartar build-up. We clean above and below your gums and we will polish your teeth until they shine. At Redcliff Family Dental Centre we recommend an annual X-ray that will detect problems that we might otherwise not notice such as decay, bone loss, cysts, or infection. We will observe your brushing and flossing techniques to ensure you are doing this properly – a little bit of advice can go a long way. We might suggest a fluroide treatment that strengthens your teeth, makes them more resistant to decay, and helps to prevent cavities. Abnormal cell growth in the mouth, lips, tongue or throat can lead to oral cancer. During your visit, we’ll also do a visual screening for oral cancer -- looking for white or dark red patches on your tongue or in your mouth, or any lumps or sores. 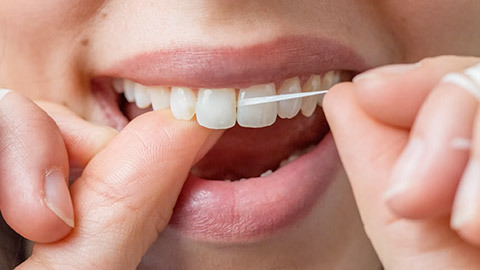 Oral hygiene and cleaning is all about getting into a routine of good flossing and brushing as well as reacting quickly to any problems. We can work on this together. If you need more information about Routine Cleaning and Check-Ups in Redcliff, contact us today.